"Don't judge a book by its cover" is a pretty old saying about the importance of looking past appearance. But let's face it, we make decisions about books and other things (and people) all the time based on their "covers" and it's not something that any of us are totally immune to. Case in point, I got pretty excited when they first released various Doctor Who books in a particular style for the 50th anniversary - even if many of these books were actually older adventures with new cover art slapped on them. As someone who hasn't really invested all that much into the Doctor Who books, the chances of duplication were pretty limited. Plus they look so pretty on the shelf all together. More recently they've done it again with the Monster Collection of Doctor Who novels, again mostly using older stories with new covers. And Prisoner of the Daleks is the first book in the collection, and it's pretty sweet, to be honest with you. And I say this considering I've never been one to fancy the color-coded Daleks over their typically black / gray / silver / white / bronze brethren. But beyond the lovely cover, it's still a pretty good book. 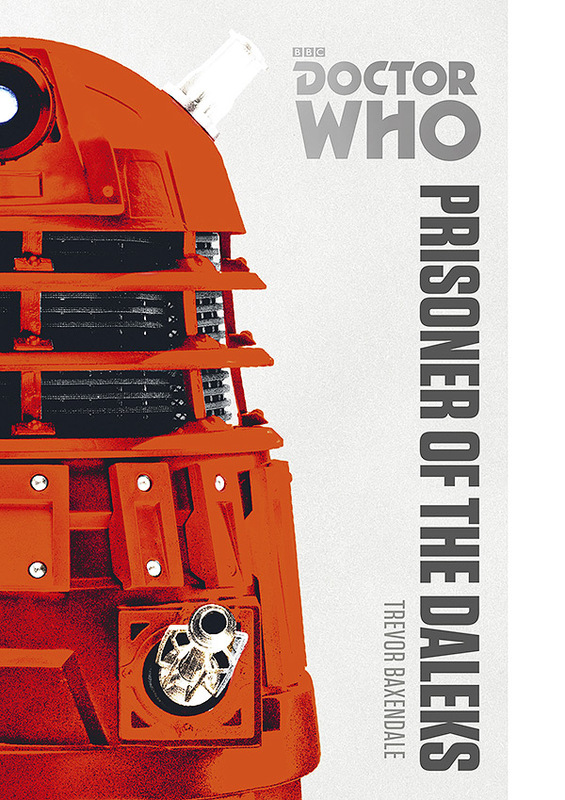 Synopsis: Doctor Who: Prisoner of the Daleks is an original Doctor Who adventure written by Trevor Baxendale featuring the Tenth Doctor. It takes place roughly during the period of the TV Specials during the final year of David Tennant as the Doctor. The TARDIS brings the Tenth Doctor to the planet Hurala for reasons unknown. Given the Doctor's nature, he goes on to investigate the planet a bit, which he realizes is an abandoned refueling station called Lodestar Station 479 that hasn't been in use for some time. He also realizes that he has somehow traveled back in time to a period before the Time War, back when the Daleks were still at war with the Human Empire. But one thing leads to another and he gets himself trapped in a prison cell of some sort with only a human corpse as company. Five days later, the Wayfarer, a vessel crewed by a bunch of bounty hunters is forced to land on Hurala in the hopes of refueling from the ancient stores. As the crew explore the planet, they encounter the Doctor's TARDIS and eventually Scrumm, the ship's tech, realizes that he can hear someone tapping out an SOS in Morse code somewhere in the complex. The team eventually locate the room holding the Doctor and manage to get him free. Further investigation into the station reveals that some sort of an override code had taken over the station's systems and triggered the locking mechanism when the Doctor entered that particular room. And as they puzzle over who might have done a thing and why, their questions are generally answered as the Daleks make their appearance. The book is pretty light reading, which is sort of what I expect from most TV tie-in novels. But light reading doesn't mean bad reading and this little adventure is a great little romp with all the good stuff - the Doctor, interesting companions, technobabble and of course Daleks. Oh this menacing Daleks. I really liked the build-up of this novel. As much as we know that Daleks are inevitable in this book, it's not like everything starts in the middle of a Dalek saucer or something. Instead, we are given a chance to meet the Doctor's possible Companions for this adventure and build up on their back story a bit. Stella is pretty wonderful as a supporting character and it becomes pretty obvious why the Doctor sort of gravitates towards her always immediately. The book also covers a rather interesting part of Doctor Who history - a time when the Daleks weren't solely focused on defeating the Time Lords, something that has been rather stressed in the revived Doctor Who series with their focus on the last great Time War. So here we have humans understanding just how bad the Daleks can be and their own efforts to defeat the seemingly unbeatable bad guys with a combination of advanced weaponry and human ingenuity. And that last bit is really what makes all the difference. No Dalek story is complete without some grand plot and the book seems to follow the pacing of a TV episode to get us there. The big reveal is pretty big indeed and comes much further on in the adventure. It's a nice little plot that is worthy of the Doctor but at the same time it's not too big as to seem out of place in this "backwards" period prior to the Time War. Prisoner of the Daleks is a great Dalek adventure and it certainly captured the feel of running with the Tenth Doctor. I enjoyed it a lot and I'm looking forward to reading the rest of the books selected to be part of the Monster Collection. This title though rates a good 4.5 special anti-Dalek tactics the bounty hunters have managed to rig up out of a possible 5.